As political observers had expected, the Bharatiya Janta Party’s lotus wilted in the heat of anti-incumbency in Rajasthan, and the Congress is having the last laugh. Having emerged as the single largest party, the Congress is all set to form the government with a little help from other parties and Independents. “Rani teri khair nahi aur Modi se bair nahi,” the slogan coined by voters of Rajasthan had expressed the electorate’s anger against Chief Minister Vasundhara Raje, while showing a soft corner for Prime Minister Narendra Modi. The Congress reaped benefits during the Assembly polls. Since 1993, Rajasthan’s voters have never retained the incumbent government. 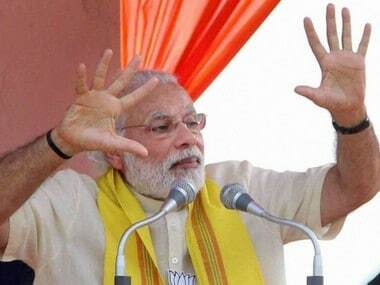 This time too, the pattern was repeated, and disillusioned voters denied Vasundhara Raje’s government a second run. While talking to the media in Jaipur, Rajasthan Congress chief Ashok Gehlot appealed to victorious Independent candidates to join hands with his party and be a part of the Congress government. 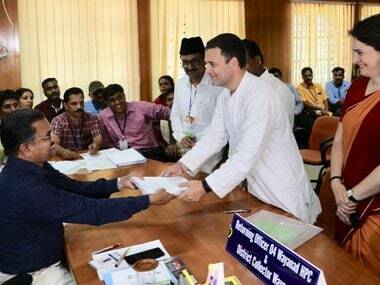 “The Congress believes in working together and we call all the Independent candidates to come with the Congress and form the government,” he said, while crediting the victory to All India Congress Committee president Rahul Gandhi. There was strong anti-incumbency in Rajasthan against the BJP government, which led to the victory of Congress. While Chief Minister Vasundhara Raje failed in her efforts to contain the anti-incumbency wave against her even after slogging it out in the last leg of poll campaigning, the Congress could not exploit the opportunity to the hilt. Post results, there is a general feeling that if the Congress had gone the whole hog on anti-incumbency, the party could have managed to pocket a few more seats. The failure to do so was probably due to the fact that the Congress leadership drained most of its energy by attempting to contain infighting and sabotage by disgruntled party workers. Meanwhile, all eyes are on young Sachin Pilot, who is being tipped as the next chief minister of Rajasthan. Pilot has commenced hectic parleys with victorious Independent candidates and is reportedly in regular touch with eight such candidates in the state. 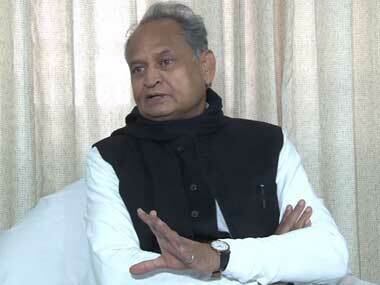 Both Gehlot and Pilot have been saying that the choice of chief minister would be made by Rahul Gandhi. Voting could not be held in one seat in the 200-member Assembly due to the untimely demise of one of the candidates. So, this time, a party or an alliance would need 100 seats, and not 101, to stake claim. Looking back at why the electorate rejected Raje, indications are that the youth in the state have lost trust in Raje’s policy vis-a-vis generation of employment opportunities. While campaigning in 2013, Raje had laid extreme emphasis on creating jobs but wasn’t successful in delivering her promise of creating 15 lakh new jobs. After coming to power in 2013, she did flip-flops by playing on the words "jobs" and "employment opportunities", indicating that she had promised to generate employment opportunities, and not providing jobs as such. This infuriated the young electorate and, feeling cheated, they turned against her. Meanwhile, recently, Rajasthan’s labour employment minister Dr Jaswant Singh Yadav said merely 2.17 lakh jobs were created in the last five years. It is worth mentioning that over the last five years, the desert state of Rajasthan has added 67.53 lakh new voters to take the total number of voters in the state to 4.75 crore, as per Election Commission statistics. It wasn’t just the youth who rejected Raje. The results clearly indicate that the BJP and Raje faced the wrath of upper-caste voters as well as of the lower castes, who were reportedly upset with the amendments to the SC/ST Act. Multiple protests were staged by the upper castes in Rajasthan, and the BJP had dubbed the rallies as Congress-sponsored. 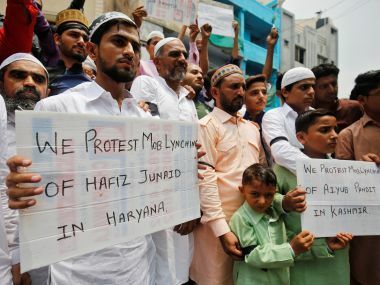 Polarisation and mob lynchings that took place in Alwar region, too, played an important role in the ouster of the BJP government in the state. The Dalits and Meo Muslims together comprise 7.5 lakh voters in Alwar district. The results clearly show that these voters did not vote for BJP. In Alwar region, Independent candidate Baljeet Yadav won from Behror, Tukaram Julie of Congress won from Alwar (Rural), Independent candidate Kanti Lal Meena won from Thanagaji, Congress's Johari Lal Meena won in Rajgarh, Babulal Barua of Congress in Kathmar, and BSP’s Deep Chandra Khairia bagged the Kishangarh seat. Just as there was dissent and infighting in the Congress ranks, there were repeated tussles between Raje and BJP president Amit Shah, who were not seen as being on the same page. Differences between Raje and the party’s national leadership surfaced multiple times on many issues, including ticket distribution. The most obvious case of differences between Raje and Shah was the resistance from the party’s state and national leaderships over the prolonged delay in the selection of Madan Lal Saini as the BJP’s Rajasthan state unit president. Saini was Raje’s choice. The farm loan waiver issue is being considered as one of the most important factors responsible for BJP’s defeat. The distressed farmers in Rajasthan, who have been suffering for long, seem to have lapped up Congress chief Rahul Gandhi’s poll promise. With strategists in the Congress working overtime and hotlines kept open for hectic parleys with Independents and others, the party is all set to form the government. However, what remains to be seen is whether the party would deliver the Congress president’s promise of farm loan waiver within ten days of forming the government.